Last summer I wrote about how so many seniors are struggling to find ways to afford their prescriptions. It’s a stark reality that as many of us age, more things begin to go wrong and we end up having to take more and more medications in order to try to preserve our health. For most of my life, I was one of those who hated taking anything, including vitamins and I avoided going to the doctor at all costs. As a cowboy from the southwest, I grew up with the mantra of cowboy up. That means that I’ve set some of my own broken bones, taken out my own stitches, gave myself a tetanus shot, drained fluid off my knee and even drew my own blood for a flustered nurse. However, I now find myself taking three medications a day along with a couple dozen vitamins and supplements. One of my greatest concerns is the cost of my medications and those my wife takes and even one our dogs take. My wife decided to shop around for prices. Our two dogs take a medication to reduce some type of skin allergy. She was getting them straight from the veterinarian but found they were significantly cheaper at Sam’s Club. The same turned out to be true for some of our own prescriptions. We were getting them at the more convenient pharmacy at our grocery store, but my wife shopped and found that some of her meds were cheaper elsewhere. Our pastor’s wife and daughter found that some of their medications were cheaper at a small drugstore in the area than at most of the regular drug stores and pharmacies. Think about it. Most people shop around for the best price for a home, car, clothes and groceries, so why not shop around for the best price for your prescriptions? 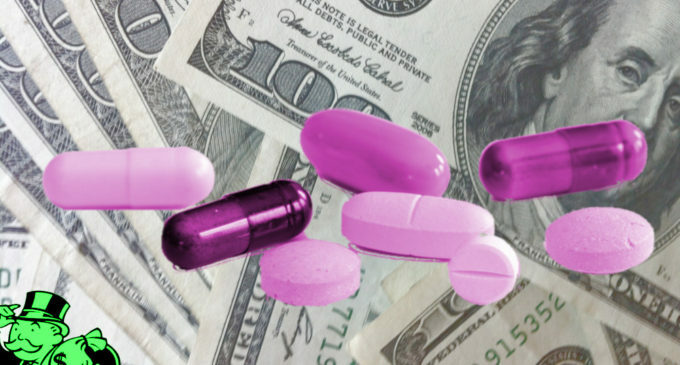 Taking the time to shop around, depending on what meds you take, could save you hundred and even thousands of dollars a year, which more than pays of the time it takes to shop the prices.